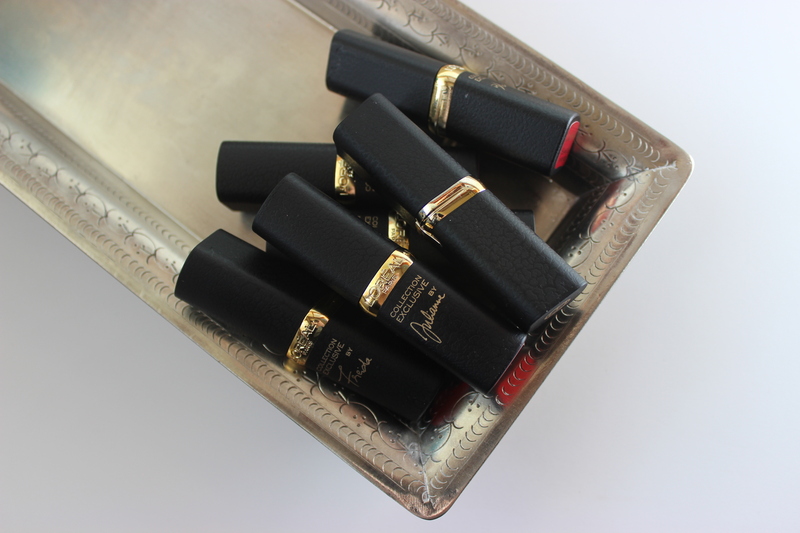 Let me introduce you to my latest fail when it comes to resisting a red lipstick, and I failed in a big way as I came home with the complete range of these beautiful bold lipsticks inspired by different actresses that are the L’Oréal Collection Exclusive Pure Reds. When I saw news online about the launch of these I thought I might grab one or two (like I did in past launches of the L’Oréal Exclusive range), but I simply could not resist the selection of colours, specially since many of them lean pink and I think those kinds of reds suit me better. Freida’s Pure red: is an almost fuchsia. The bullet looks redder than it is. Similar to MAC’s Full Fuchsia. Doutzen’s Pure red: is a reddish orange, leaning more brick red than coral. It needs two to three coats for full opacity. The bullet looks redder than it is. Julianne’s Pure red: it’s suposed to be a tomato red. On me it pulls slightly pink. Blake’s Pure red: a blue-based red. It is slightly bluer than MAC’s Ruby Woo, but with a more forgiving formula. 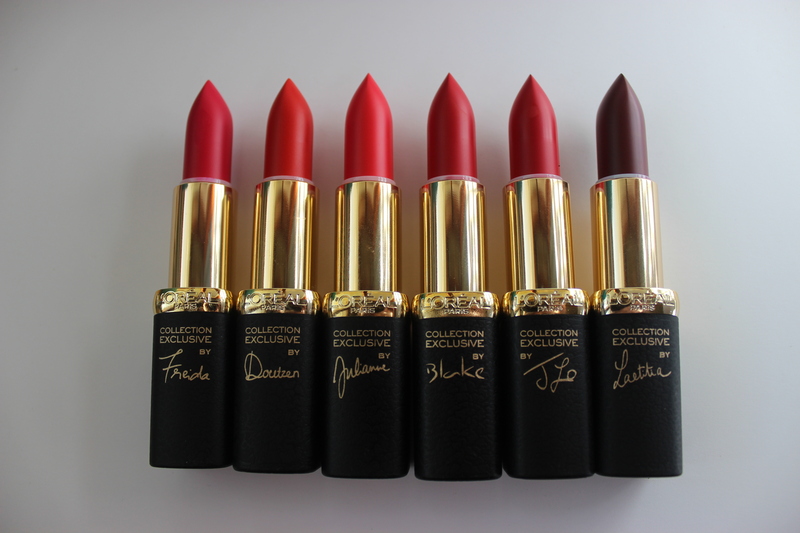 J Lo’s Pure red: a darker blue-based red. The packaging has changed a little since the last Collection Exclusive launch and this time it has a slight engraving that imitates leather. Nevertheless, it is rigid matte black plastic with accents in gold, quite lightweight. All in all, it is quite elegant looking. 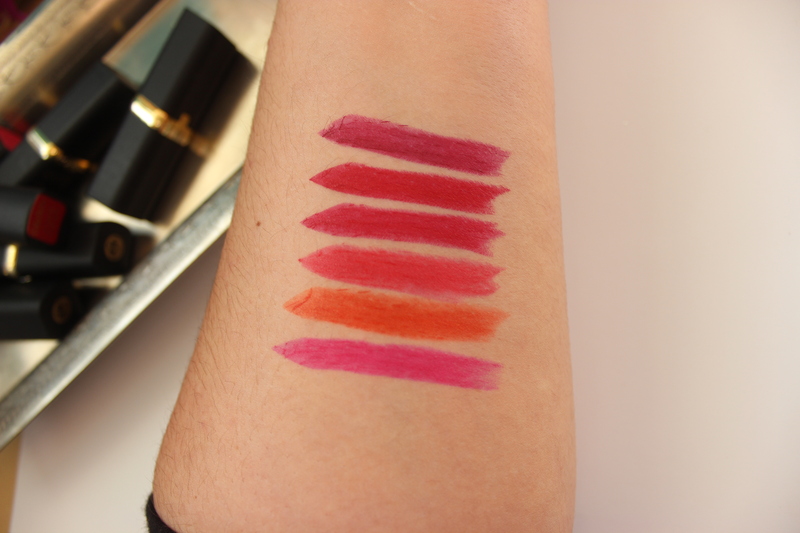 This are very nice matte (this new mattes that have kind of a satin finish) lipsticks as they are not stiff upon application and one could say slightly creamy. The scent is somewhat fruity, as if you were given fruit flavored sweets. 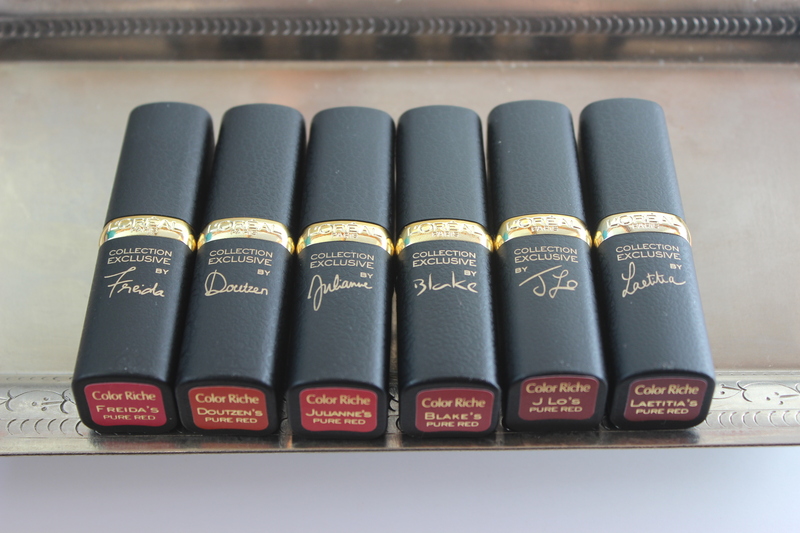 Once they set, they are very smooth and bold shades that make you feel like taking on the world. Conclusion? Even if I did not need more reds, I love them! I know right? I could not resist them! Me too! I am thinking that a recopilation post might be fun! These all look gorgeous! I would have trouble choosing just one or two too! What a great selection of reds! There’s definitely something in here for everyone.